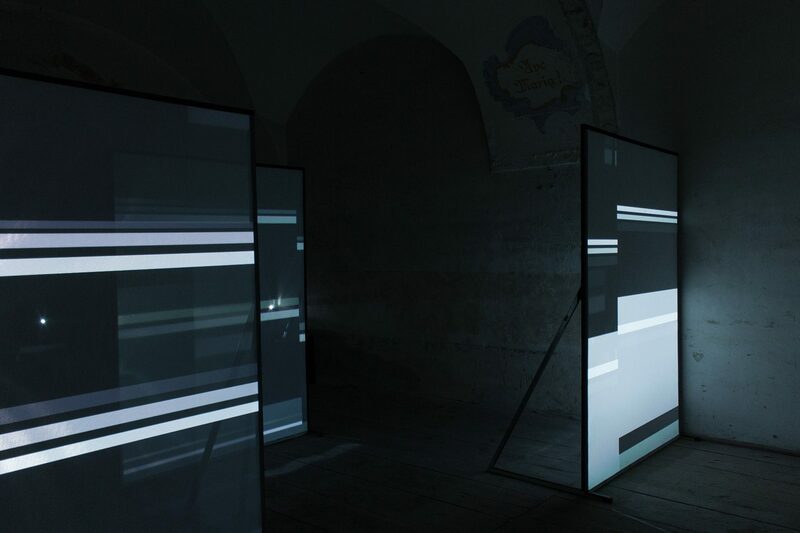 The reactive audio-visual installation "Daemon" analyzes the never-sleeping and permanent alertness of an artificial intelligence. Consisting of three semi-translucent, spatial shifted surfaces, the installation represents a solid wall when entering the space. When no visitor is in the room, the installation is in balance and visualizes infinite planned tasks and processes: rational beauty. 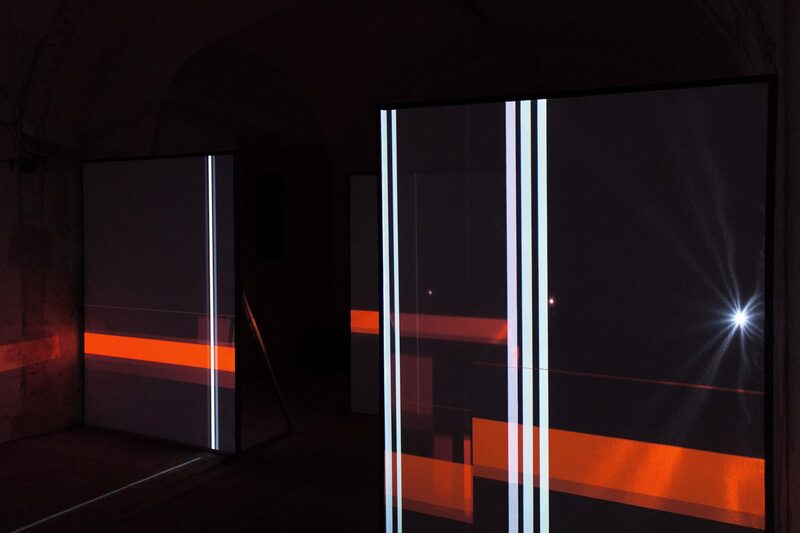 When visitors enter the room, the installation reacts and the perfect procedure gets more and more distorted. 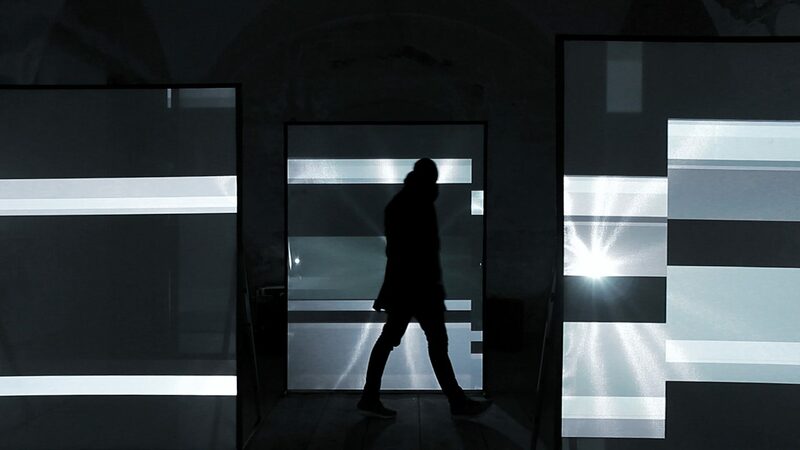 When the visitor walks into, through and behind the surfaces, his silhouette gets merged with the projected visuals and absorbed by the surfaces. 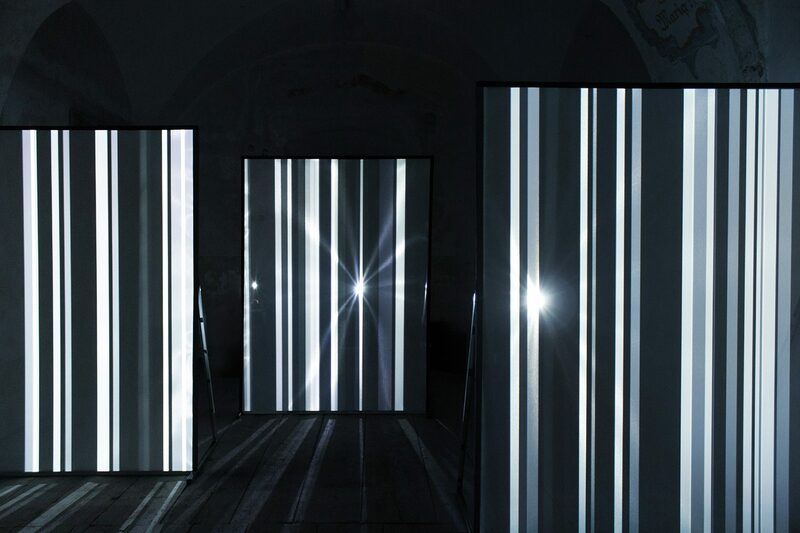 The reactive audio and visual stream of “Daemon” is triggered by the paths of visitors of the installation. Together with a pre-made logic, the captured coordinates shape and transform a sequence and lead to a unique sonic and visual representation of this moment. The reactive audio stream is rendered audible through a six channel sound system to illustrate the triggered path in the installation’s soundscape as well.